The returning threat of sequestration if politicians cannot agree on spending priorities represents “a clear and present danger” to the Army’s ability to fulfill its national security obligations, Army Vice Chief of Staff Gen. Daniel B. Allyn said. “These tradeoffs are a reflection of constrained resources, not strategic insight,” Allyn said during the forum, held at the AUSA Conference and Event Center in Arlington, Virginia. Allyn said that Sullivan, who has lead AUSA for 18 1/2 years, has “provided critical leadership” to the nonprofit educational association and has shown “deep personal appreciation” for soldiers and their families for more than six decades. 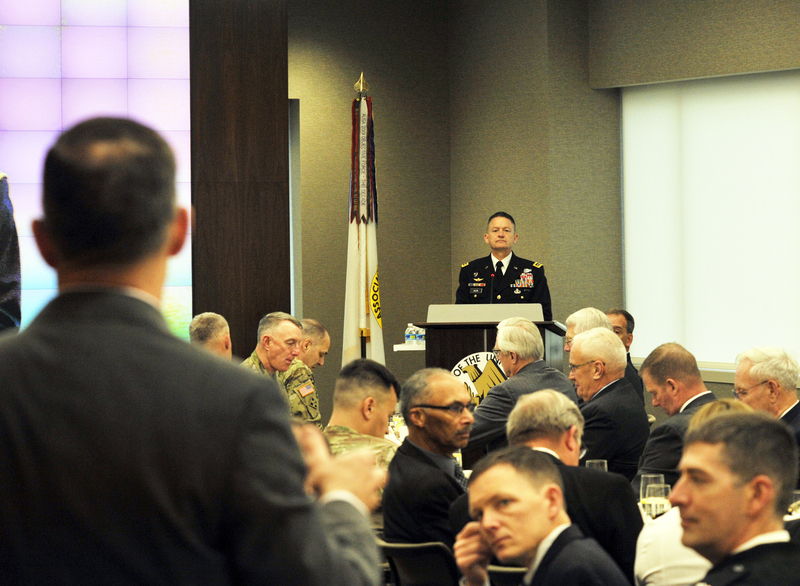 This Institute of Land Warfare breakfast was sponsored by DRS Technologies, an AUSA sustaining member company.